If you suffer an accident, sports injury, or other acute pain, it’s important to see the right specialist, right away. 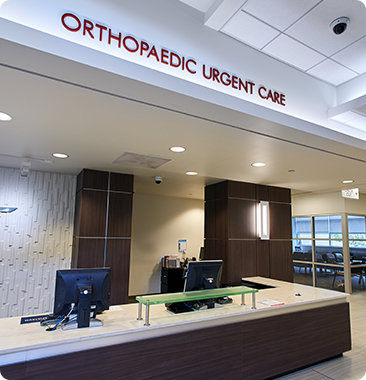 For you, there’s Spectrum Orthopaedics Urgent Care – the only urgent care in the region that focuses solely on musculoskeletal conditions. We treat patients of all ages, and we offer a full range of services, including imaging, casting, splinting, and much more. Plus, if your condition requires surgery, we can schedule your appointment at our ambulatory surgery center for the very next day.